"Travis is great, super knowledgeable & helpful. " After seeing our ad on KTSP channel 5, homeowners from Prior Lake, MN contacted the TEAM at Innovative Basement Systems to get an estimate on crawlspace encapsulation. After meeting with one of our specialists and reviewing the findings of his inspection, it was decided to move forward with installation of CleanSpace drainage matting and CleanSpace moisture barrier. 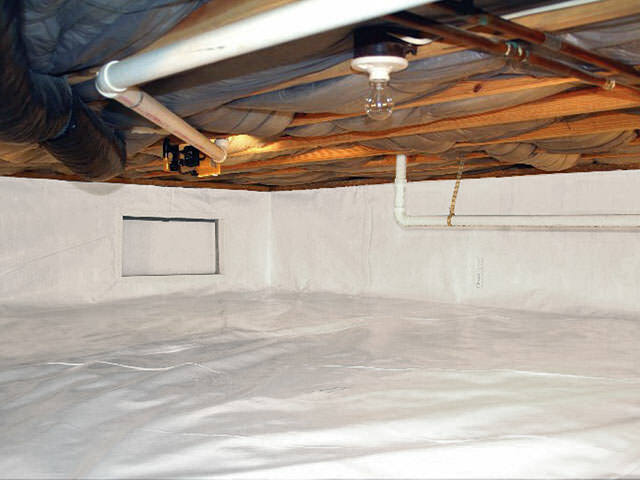 By adding the CleanSpace to their crawlspace they will avoid unnecessary repairs (due to mold or rot), create a healthier living space and save money on their utility bills. Once their encapsulation was complete, they also gained valuable storage space in their home. Justin & Ashley from Prior Lake, MN called TEAM Innovative after noticing their basement wall was bowing & cracked. Our specialist performed and inspection and recommended GeoLock Wall Anchors which effectively restore the structural integrity and value of your home. Installation was planned for early spring and completed without any issue. Our lifetime warranty only solidified Justin & Ashley's confidence in TEAM Innovative and our solutions. After seeing our ad on KSTP channel 5 - Dan and Marlys from Prior Lake, MN made the call to Innovative Basement Systems. They were getting water seeping in along where the floor met the walls in their basement. After meeting with one of our specialists and learning about our patented solutions, the project was on the books! FlowGuard and a SuperSump sump pump were exaclty that this basment needed to stay DRY! Call 877-365-0097 to schedule your free estimate today! Hi humidity in my walkout basement. We have baseboard heaters. Cinder block walls leaking making for a wet basement. Basement is unfinished basement with no sump pump. With the melting snow from my roof and around my house, I am concerned that with an existing small hole that water will go into my basement. My garage is already under water. Help! Looking to put a egress window in our basement of the house we are moving into on 9/21 so we can use it as a bedroom. This is a rental property that I own. It is a dome home that has a pre stressed concrete garage attached to it with a deck on top. it is leaking where the pre stressed concrete meets the house. There are a few other leaks in the basement as well. It appears we have foundational issues happening as we're seeing major cracks in the drywall on both the ceiling and walls all throughout the house. The floor is also bowed in an area so we're hoping to fix whatever the issue might be. Thank you! By installing CleanSpace Drainage Matting, your crawl space is protected, and water is directed to your drainage system. Al and Marcia from Prior Lake were looking for a permanent waterproofing solution for their basement. After calling Innovative Basement Systems and meeting with specialist, Jerry Bartell, it was decided that waterproofing with a WaterGuard drainage system and installation of a SuperSump sump pump would offer the best solution, along with putting CleanSpace moisture barrier on the walls. Since installation the basement has remained DRY and much more enjoyable. Call 877-365-0097 to schedule your complimentaty waterproofing estimate today! Justin & Ashley from Prior Lake, MN called TEAM Innovative after noticing their basement wall was bowing & cracked. Foundation walls move inward primarily due to expansive soils and hydrostatic pressure on the walls from outside. 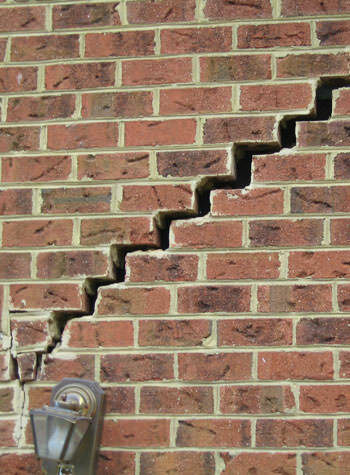 However, foundation walls may also crack due to many other outside causes, including foundation settlement. Our foundation experts will accurately identify the cause of your home's foundation problems. Our specialist performed and inspection and recommended GeoLock Wall Anchors which effectively restore the structural integrity and value of the home. After seeing our ad on KTSP channel 5, homeowners from Prior Lake, MN contacted the TEAM at Innovative Basement Systems to get an estimate on crawlspace encapsulation. At Innovative Basement Systems we use and recommend products developed by the Basement Systems International network of waterproofing contractors. In business since 1987, Basement Systems® operates a full Research and Development department, constantly searching the industry for the best, most proven products for lasting crawl space solutions. After meeting with one of our specialists and reviewing the findings of his inspection, it was decided to move forward with installation of CleanSpace drainage matting and CleanSpace moisture barrier. By adding the CleanSpace to their crawlspace they will avoid unnecessary repairs (due to mold or rot), create a healthier living space and save money on their utility bills. Recently purchased a home. We had a garage repairman come over. He cannot repair the garage 100 % due to cracked headers in garage ( some foundation sagging). There is a large tree nearby that may also be causing damage to foundation. Thanks for your assistance.